Last Thursday, after one week of break I went back to my cooking school. And like every Thursday we learned again to prepare some delicious dishes. As a starter we had fried scallops with green asparagus and red pepper. I know it’s not the time of asparagus, but even without being the season of asparagus the dish was really good. 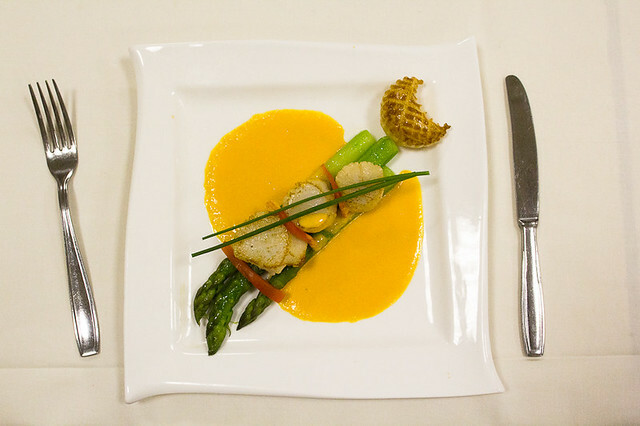 I liked the sauce and the combination with the scallops. So dear friends, if the season of fresh asparagus is knocking on my door, I will make it for sure. Spring is the best season for fresh asparagus and the crops are harvested from late February to June, with April being the prime month. So friends, just a little bit of patience, please. Every 10-year old girl wants a little tiny one to play with, to give it little tiny carrots, to brush the little tiny teeth and to comb the hair of that little tiny animal. But besides playing, feeding and taking care of that little tiny animal, you can also prepare, serve and eat it. And that was what we did last Thursday. 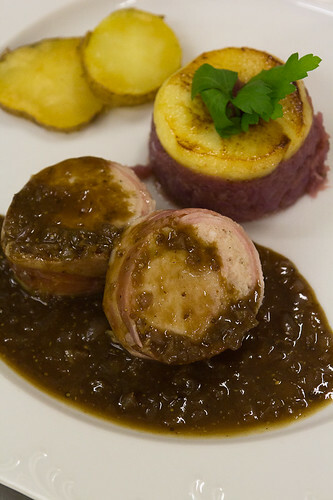 We made a so-called rollade of rabbit with a red wine sauce and delicious red cabbage. I was really impressed of that vegetable. The last dish was a dessert of cheese with a little bit of cherry jam, pine apple and coconut. 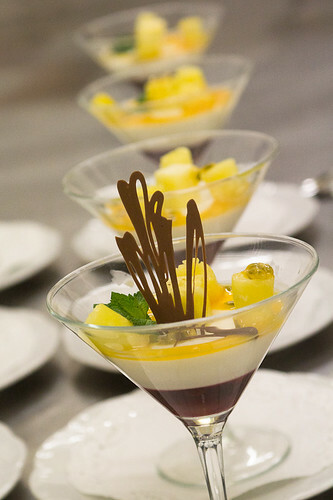 We finished the dish with soup of passion fruit and some pineapple cubes. Easy to make and it looks good. And again, I’m a fan.